We are a leading Manufacturer of total station, antique compasses, measuring chain, theodolite machine and prismatic compass from Faridabad, India. 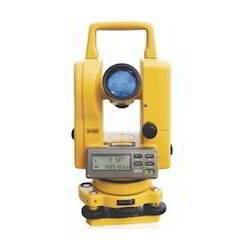 Total Station is an enhanced form of theodolite that is used broadly for building construction and land surveying purpose. It comes with battery and its charger and silicon clothing for cover. It is fixed with an electronic distance meter for better reading of slope distances from a fixed point on the ground. You can measure distances with the help of remote control process. Single Prism : 2 Nos. Downloading software with F-4 data transfer cable : 1 No. Wooden Tripod : 1 No. 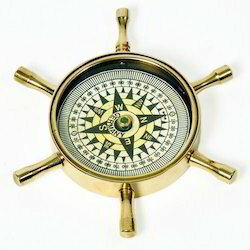 While on a voyage, Antique Compasses are a voyager’s best friend. They have a magnetic needle that points north in the northern hemisphere. We bring you the apparatus with accurate measurement and a superior magnet that lasts long without any error adjustments. It is tough and can withstand falls up to a certain extent. The glass is clear and the markings are simple to read. Measuring Chain finds its application in various land survey for geological, infrastructure and other purpose. 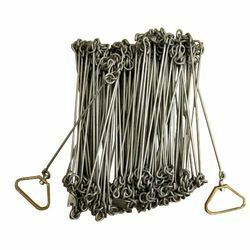 They are available in varying dimensions of length to suit user specification. They are made of stable and non-corrosive metal to ensure that there is no difference in the length over the years. It can provide accurate readings over a long period of time. Meteorology and rocket launch studies require advanced measuring tools and Theodolite Machine is one of them. It has a movable telescope placed accurately on two perpendicular axes; one of them is horizontal and other is trunnion axis. It can be inverted completely on its vertical plane while semi circularly on its horizontal plane. 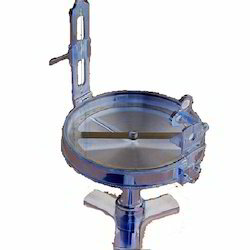 Prismatic Compass finds its usage extensively in land survey purpose owing to its higher accuracy. The structure has a prism that provides an accurate and precise reading and provides an exact idea of direction. It comes with a tripod for enhanced stability during operation. It calculates the magnetic bearings in a whole circle bearing system that identifies the magnetic north with high accuracy.